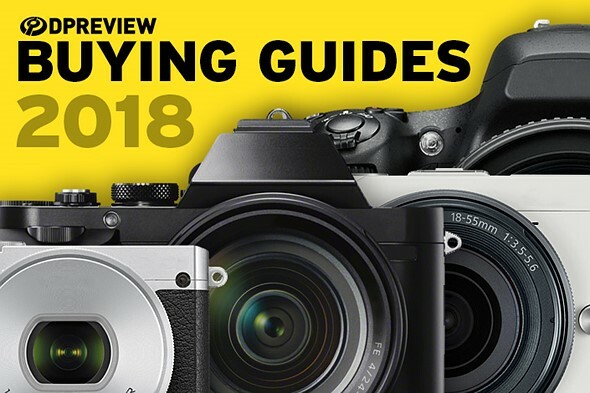 We've updated fifteen of our camera buying guides and the Fujifilm X-T3 came out on top in three of them. We now consider it the best camera under $1500 and a good alternative to more expensive cameras for video and 'people and events'. 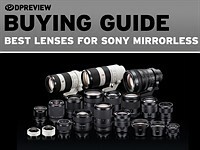 If you're in the market for a new camera then head on over to our buying guide hub page, which is also where you'll find our new lens buying guides. I don't know if $1499 for camera body only should count as "best camera under $1500." Also..... cameras are getting ridiculous. I'm going to say for 90% of the hobby shooter and semi-pro market there is already a camera under $1000 that will do more for you than you will ever need. People are counting on technology to make up for their laziness and poor shooting skills. "People are counting on technology to make up for their laziness and poor shooting skills." Yes, that is one of the main uses of technology. What is your point? In the face of such competition from Fuji, has Sony chosen to withdraw it's rumored A7000 APS-C model? 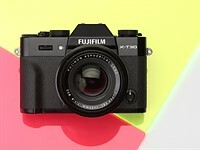 Fuji were very smart to introduce those jpg film simulations in camera for enthusiasts that don’t want to spend hours in pp. Canon were clever to introduce the flippy screen for vloggers on their FF cameras and SOOC videos for timelapsers. Sony were pioneering with in-camera ibis on an FF sensor with superb eye AF that hardly ever fails. Soon one manufacturer will put all these bells and whistles together and clean up. I am not keen on too many bells and whistles. Too much extra stuff which I am sure many of us do not need for that satisfactory image when all is said and done. I have an irreparable Pentax MZ 5n film camera which I would like to see in digital form. That would be perfect. I would accept a current ISO range and insist on 100% optical viewfinder. Too much fiddling, as with a swing out touch screen, to get the shot is a waste of time and defeats the fun. These are not luxury features. Tried to shoot a few photos of my wife and I in Oxford today. Put my x100F on my gorilla pod and had to get my trousers wet looking through the viewfinder before setting the self timer. :o) A flip out screen you can see from above and the problem is solved. New Sony A7ii with kit lens for $999 is the deal to get! Does the A7ii has a silent shutter? Just saying. Sometimes 1/32000 is quite useful. The original A7 is also a great deal at a few hundred dollars cheaper, for those who are OK with not having IBIS or eye AF. It's also a good body for those who want to use vintage glass on a full frame sensor. Anyways, nice to see more competition as it just provides people with more (and more affordable) options. Not really a winner in all 3 so the title is misleading. It’s two first and a second. Unfortunately this is "par for the course" with dpreviews click bait titles these days. Another example is the recent lens roundup titled "best lens" then when you read the comments it's the best bang for the buck lens so not even close to the best. 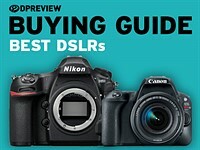 dpreview: You claim to have updated the buying guides but they are a total mess as you are not tracking current MSRPs (let alone street costs.). At the extreme is the Canon M5 Currently selling (body only) for $579 from canon USA with a MSRP of $979. 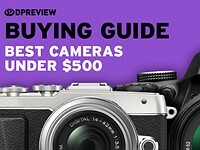 Either price would exclude it from the $1000-1500 guide but given the street prices you are grouping a $579 camera with a $1499 camera; a totally useless comparison to most of your readers. We base our buying guides on launch price because that gives the clearest indication of where a model is intended to sit in each company's lineup and the market as a whole. The alternative would be recommending cameras against wildly mis-matched peers just because they're being flogged-off cheap at the end of their product cycles (then annoying anyone in a country where they're not yet discounted or have already run out). Basically there are downsides to every way of categorising cameras, especially when it comes to price. However, I agree it's important to be consistent. We'll check our categorisation. Hi Richard. Wouldn't it make more sense to use current pricing rather than launch. For example, a potential buyer of the X-T3 or any other new camera isn't considering competitors at the launch price, they look at the now. They don't care if the launch price was $10,000, if the current price is the same as the X-T3, that is what is important. Richard, product life is considerably longer than it was even 3 years ago. Many manufacturers are now doing what Sony does......they don’t discontinue older models, they just lower the price. I really think that you should change your methods to current MSRP to reflect this change in the industry. 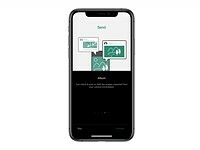 It would match more accurately what both consumers and manufacturers view as the competition for a given model, which is the whole point of these buying guides. Exactly. For example sony still lists the A7 as a current model with a body price of $800 and the A7II with a body MSRP of $1300. But neither are mentioned in the below $1000 or below $1500 guides. If you think about it that's fairly incredible a new, current full frame camera for $800? (and who knows how low it will go with holiday pricing). 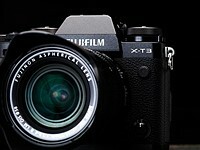 That X-T3 is very tempting. I wish their F2.8 zoom was 200mm instead of 140mm though. It is a 210mm F4.3 equivalent zoom (1.21 stop difference between apsc and ff). But the 100-400mm F/5.6 looks appealing. If the X-H2 is as good with IBIS. I might not be able to pass it up. In fairness, there's a historical precedent to suggest 75-210mm equiv is a range that people find useful. I own the 50-140 and 100-400 and both are wonderful pieces of glass. Also, the OIS in these lenses is very good. Best for events? Seriously? Do you even shoot events? Do you understand the importance of battery life at events, and how the X-T3 doesn’t have it? Do you just fish these titles out of never never land? Battery grip? Couple of spares in your pocket? It takes seconds to change them. I shoot many events and never miss any moment with Sony A6500 / A6000. LOL. Battery is small, and take me second to change them. Also, shooting events, u are already know all the schedule and what will happening already. With the lightweight of mirrorless , I can stand more than 8 - 10 hours no issue. Unless someone is a noob on events shooting, then grab a canon and go home, spend like 7 days editing their photos. LOL. DSLR can't even spot the face focus, and auto adjust / increase shadow / light when backlit behind subject. The only reason I use Sony on Events is backlit light on event, I need the face of my subject brighter automatic, and I don't want go home and spend 1000 hours edit. P/S: I had shoot fujifilm X-T10 in the past, and turn it 's also nice, when choosing film color mode, go home and just copy JPG, send to client. Colors are perfect. I have an A6000 and it's a total PITA keeping multiple batteries charged and juggling them while shooting. The fact that you put up with it is fine, but don't pretend short battery life is a non-issue. Battery grip is fine but it adds extra weight and if you are an event photographer doing long events, that’s not fun, hence the reason so many event photographers use the D750 over the D5. As for the batteries, that’s great in theory but it comes at a price, you have to keep track of which have and haven’t been used, and you have to keep them charged. Then you add in the cost of your battery grip and twice as many batteries as the A7 and suddenly the X-T3 isn’t all that cheap. My A9 and XT2 easily go through a 2 hour show, with about 6-7k images, on a single battery. I don't chimp while I shoot. My only gripes are that sometimes these cameras get hot, and it's the battery compartment area where the heat appears to accumulate in. It’s one of the few cameras available with always-on USBC power delivery (18W). Meaning you can hook up an external 20000 mAH battery to it kept in a pouch and have nearly unending power. Most cameras with USB charging can only charge when the camera is off. myfujilife, then stick with the Sony system. The battery life bitching is getting very old. I carry multiple batteries with my Fujifilm cameras. What a concept! Racin06, thanks. You just proved my point. You have to carry "multiple", which are more costly than Sony's battery, despite Sony having twice the battery capacity, so you have to buy twice as many. And Sony still managed to fit a full frame sensor, ibis and a battery with twice the capacity in a camera the size of the xt3 which had a smaller sensor, no ibis and half the battery. The Fujifilm battery hasn't changed since the xt2 and yet fujifilm uses it across multiple models so the economy of scale means it should be dirt cheap, but it isn't. It's damn expensive and fujifilm continue to rip off their customers. But you continue to support that from fujifilm. I believe they have a term for that. Yes, the term being a very satisfied Fujifilm shooter for two years now. Also, $65.00 per battery is a fair price to me, in which I have no problem paying. You can buy 6 third party batteries for the price of one Fujifilm battery. Fujifilm must love people like you. You're so easy to satisfy you'd buy stale bread for twice the price and be happy. LOL this site has now degraded into battery arguments? myfujilife, I would never purchase POS third-party batteries. Nothing but the best for me. Relaxed, you made me laugh with that comment! I can honestly say they seem to favor some brands, including Fuji and they absolutely show a bias against Pentax. It has been nine years since Pentax introduced Composition Adjustment and seven years since Astrotracer and never a review. But I will say they are getting hot and bothered over Fuji lately. Best aps c system that is better than some FFs. Which FF you are talking about here ? Full frame sensor with comparatively less number of pixels ( 20 MP in 6D) offer big pixel size and so better low light capability and DR.
That's it? All that matters? Pff... last time I was arguing about the lower pixel density it got heated and I had to concede that it doesn't matter that much anymore. 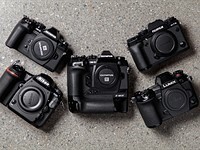 Between a 42mp A7r III and a 20mp Canon 6D, the technology in the A7r III is compensating for the smaller pixel size, and if we compare them at the same resolution it is again an advantage for the A7r. Now, I can only say, I've shot again with the A7 II last weekend and to me there's not the same difference with my X-H1 I had with previous Fuji cameras, at least not in perceived sharpness/resolution. just for the sake of arguing I don't agree. One might argue that X-T3 is better than Canon 5D for instance. It's not only about sensor size alone or even pixel density. That being said, a way to read your comment would be "do I need FF? if FF is better is it worth the price for the kind of photography I chose?" I think if you compare full frame to APSC, you can't compare selectively because there are always going to be good systems and bad systems, good dynamic range, bad dynamic range, outdated systems due for replacement etc. At any point in time, a brand new system is going to be better than other systems that haven't been outdated. Personally I always think it's better to test the best of the best, for same genre obviously, so not comparing a D5 with an X-T3, maybe maybe the D750, A7iii, and other 24MP-30MP sensors. That said, the X-T3 doesn't have to be better than full frame. The X-T2 was good enough to be a pro camera, so obviously the X-T3 is and the majority of photographers aren't constrained by APSC, they are constrained by their own skill and their egos tell them the full frame part makes a difference. yes, of course, what I meant to say was that it's not wrong to say that those X-T2/X-T3 are better than some FF cameras (what was claimed above, not all FF but some). Does it matter? for some probably but as you mentioned those cameras are good enough for most people. Damn, here we go with the "buying guides" on a review site. It's cameras like XT-3 that make APS-C cameras more appealing that cameras like the EOS R make full frame. Each their own. If given an XT3 I would sell it that day and buy an ancient 6D instead. And given the price of an XT3, a 24-70/4L and 70-200/4L with it. I assume that you see some kind of performance advantage for the 6D on some dimension. What would that be? 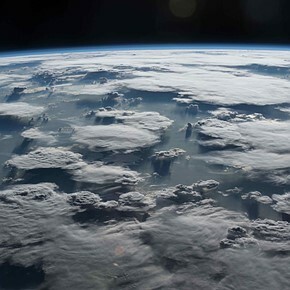 Sorry, I have seen your other comments below - if I understand correctly, you argue that the still image quality is better. That doesn't show up for me in the dpreview compare between the XT3 and 6D, but ok. I own the original 6D and it's a fantastic camera. My issue is 6 years later and there's still no compelling upgrade from Canon. You are basing image quality of a camera on the DPR Compare Tool. Why not talk about some MFT charts and some DXO scores, next? (yes, I realize XTrans has no tested sensors). 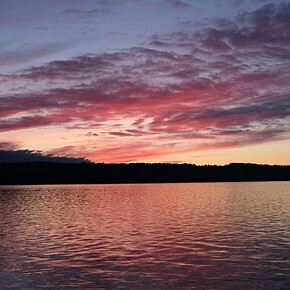 Instead, try to compare a few hundred of the best landscapes you can find from each camera. Maybe you'll disagree, but when I compare a XT3 (or any Fuji) search and a 6D search on flickr, one of the cameras is compelling to me, and the other is not. Do the majority of photographers still using a Canon FF have bad eyes that simply can't see flaws the test charts can point out? Or that numbers and test chart images aren't representative of real life image quality? As far as the lack of compelling upgrade - I agree completely. I really wish Canon would release another FF with their old sensor design, but alas. I recommend looking up the work of Andy Mumford who is a fantastic photographer producing work with a Fuji camera. He does that because he’s a great photographer and the gear doesn’t matter. My work has changed over the past few years and I require a hybrid stills/video camera. Canon simply don’t make one that’s suitable but the Fuji X-T3 very much is. I also worry about investing more in a brand that with each release becomes less and less competitive. Long gone are the days of the 5DII, 550D and 6D. Now Canon cripple and segment as much as they can with absolutely no desire to compete. That’s bad for the consumer. I can understand the mention of Sony/Canon/Nikon, but not that of Olympus/Panasonic. What exactly do you find in the T3 that you cannot find in Oly/Pana cameras and why do you think it's an essential feature for the enthusiast category? I am curious to see a review to learn whether there is a reason to upgrade from the excellent 10-24mm other than 2mm at the wide end, 1 stop and some weather sealing. @Alexis, Way too many things to list. 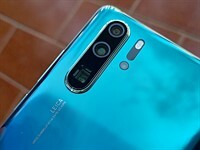 Larger sensor with 24MP, superior PDAF, much better IQ in both stills and video, a 3-way articulated screen that stays behind the body, ... ... ... ... and a very reasonable price of $1500. Read the review. The only thing lacking in the X-T3 is IBIS. If Fuji can add IBIS with all these features in the next X-T4, or X-H2, it's game over for M43. @Craig, That's enough justification to upgrade isn't it - "2mm at the wide end, 1 stop and some weather sealing"? Those 2mm make a big difference, and from what I read from the early reviews (from ambassadors tho), the new lens has very low distortion. It's an intriguing lens, very expensive, and I wish Lenstip would be able to find a copy and review it. I know it's old, but the 6D still obliterates anything Fuji (medium format aside) with L glass. Compared side by side on image searches, I can pick the FF every single time. For $1500 I could get a 6D and a full 24-200/4L IS coverage. Or a bare XT3 body. Fuji does make great glass, but the fact it's MUCH more expensive than L glass... why? Less glass and a smaller sensor for more money. Where do I sign up?! Dont fret, the a7000 (or whatever it will be called) is coming early next year and is expected to top the XT-3. Should be interesting. @Sergey: I wouldn't upgrade for those features that you enumerated, much less change systems. But maybe by enthusiast category you meant those people that get enthusiastic after reading about cameras? I don't belong to that category. If I was buying into a system that wasn't going to cost an arm and a leg, and be enjoyable to shoot and had the lenses I needed I'd go Fuji. They've got a nice range from pancake to telephoto and some great portrait lenses. I wouldn't buy a 6d because then I'd have to spend x4 the price of the body on every lens to justify... full frame? The key selling point here is the low distortion throughout the 8-16mm range. This will determine if people are willing to pay the premium. Lenstip wasn’t exactly thrilled with the Fuji 8-16. "Also when you find out that the optics specialists gave up distortion correction in order to get more slack when it comes to correction of other aberrations you might expect a perfect, ideal performance in all other categories. Only you don’t get it." That is quite a rip. @Craig from Nevada, it’s best to stick with the Fuji 10-24. Agreed. It appears that Fuji hasn't made it over the price/value bar here. They should have weather sealed the 10-24mm and slapped a red badge on it and called it good. The Nikon zealots on this thread are very offended. People who end their messages with "LOL" tend to be plonkers. Try finding something intelligent or constructive to say, and prove me wrong. Nope. Fuji is a great system. You're more likely to hear objection from the FF crowd. That’s because Nikon just released to failed mirrorless camera’s with 3 year old technology. I’d be upset/jealous too. Oh no, now I have to sell all my equipment AGAIN and move to Fuji. 1. Freezing - even with new firmware and different cards. Fuji is not able to fix it right. 2. Week battery - for video you need extra 4-5 ones. None of the 3 issues there. well, of course, video recording requires a lot of power. Nothing surprising.. Same with me, I've experienced none of these issues with my X-T3. Also, the needing 4 or 5 batteries to shoot video...what does that mean? It all depends on what and how long you will be shooting. I shot video (4k 60P) with my X-T3 of every play of an entire college football game and expended 1 and 3/4 batteries. Yes, shooting video is power intensive. I currently own 6 Fujiiflm batteries for my X-T3. All of this BS talk about battery life is just a bunch of bellyaching. Get over it and buy multiple batteries or don't invest in the Fujifilm system. @racin06 - too true - doesn't matter what system one is using - to use (most of) your words, people and reviewers should "Get over it and buy multiple batteries or don't invest in the XXXXX system". 1. A7III freezes, A7RIII freezes as well, Nikon freezes which camera doesn't freeze? 2. All mirrorless cameras have the same battery + who would record more than 2 hours constantly?? 3. What are you talking about?? Fuji has the bets colors I handle Fuji RAW files without any issue on LR and CaptureOne. What a stupid arguments you say just to prove to yourself that you want to hate that camera because you can't accept that Fuji made better camera than yours. Canon EOS 6D does not freeze, believe me. Lenses that need to be updates is another issue. Video on any camera requires a lot of power. And the more the professional video you are aiming at, the more power needs you have to account for: it's almost an exponential increase. Just imagine the power needed to feed 48V phantom power to professional mics or the power needed to light a set up. I guess event photographers no longer need flash??? TTL choices for Fuji are almost non-existent. Check again. This was true several years ago. On top of brand-specific solutions if you want cross-platform you can go Cactus and use pretty much any flash. I believe goddox and flashpoint have some fuji trigger options with ttl and has. It is compatible with all their strobes. NISSIN has had TTL for some years now, and ELINCHROM now support Fuji for HSS and (I believe) TTL with their smaller, portable flash system. You forgot to do your homework before posting. Only occasional need for flash during events with modern cameras, and Fuji is well covered these days with TTL flash support from themselves, Godox, Profoto, Nissin and possibly more. Meike also works, even if it's not a Fuji-specific one i.e. not TTL. Do you shoot much flash? If you did, you would know that fuji’s TTL is VERY immature. You cannot control settings on whether you want TTL to do fill or ambient. With Nikon an example, if you set the metering to spot, it only does flash for fill, if you set it to matrix it does flash for ambient. This is one of the reasons why you have to set the ISO manually on Fujifilm, where with Sony, Nikon etc you can leave it on auto ISO. In short, yes it has TTL but it’s TTL is terrible compared to the competitors on the market. You shouldn't be using ttl anyways. Lol. Just because Fuji’s TTL is crap doesn’t mean the rest of the market shouldn’t use it. Wedding photographers have been using TTL for years. Outdoor shooters have been using it for years. I shot an entire prototype softbox in TTL in bright changing sunlight. 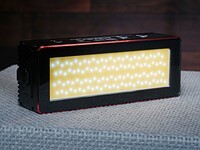 Profoto implemented TTL on their pro gear for a reason. @myfujilife I shoot nikon for work with SB910s, and I still don't trust TTL. I'll make my own flash choices thanks. Therefore, fuji's TTL failings mean nothing to me. Great. I’m sure you have fun metering between each photo while you’re at it. TTL works and has worked for ages. go fuji! and don't forget about a rugged/ waterproof x100! Where light is - there is shadow. And so I have a little rant about my otherwise very pleasing X-T3. Its about the USB 3.0 C cable. Fuji has a socket for transferring data to your PC, in my case iMac, which can also be used for charging the battery. So good! But why on earth did they not include the cable for it? I ordered one via -bay which was the wrong one, since it can be mixed up with the bigger plug for USB 3.0 hard drives. Now I have the right one and find it very useful. One can say that Fuji wants as to transfer our photos wireless, which can easily be done to your smartphone or table. But has someone ever tried to transfer photos via "PC Autosave"? What a fiddly, complicated task and once you succeed its sooo slow. So why not include the right cable?? Just a little rant for the otherwise gorgeous camera. For charging though (I've never owned a camera with USB charging), I could see it being useful. I always like to have a few batteries charged up and that way one or two could be sitting in chargers and the other charged in-camera. Nice too if you forget or loose your charger on a trip. Using the SD card for transferring depends on where your slot is on your computer. I find it rather inconvenient to always fiddle the card on the nearside of my mac. So I got accustomed to using a USB cord. It is becoming quite common for cameras to come without USB cables (at least Fujifilm supply a handbook) as few people ever use them. The one for my other X bodies are still in the boxes. What has become quite common is not necessarily user friendly. Besides my Fuji XT20 had a cable. "which can easily be done to your smartphone or table"
Why not rant against Apple who no longer include an SD card slot in their newer imacs? I still use my imac from 2010 using OS 10.6.8. They have gone downhill since this benchmark. "Using the SD card for transferring depends on where your slot is on your computer." Actually quite a valid point. I use a small card reader with a USB cord as a solution. With the cable you can also use Fuji X Raw Studio to use the in-camera raw conversion from your PC or laptop. That's what makes it so great. "No, that's what makes it so small. ;-)"
I guess that in your rush to hit the keyboard you failed to notice my smiley at the end of the post ie it was to be taken tongue in cheek. A light hearted comment. Also I've no desire either to play any comparison size games which usually end up by selecting cameras that "prove" one's point. FF is not the ultimate solution for everybody. APS-C will always have its place as a very good compromise between cost and quality, if you choose carefully. Most people don't really need any better quality than APS-C and good lens can provide. I kind of agree, although I understand why Fuji did what they did and it is probably the right strategy, and I love what they are doing, but just because I so much love their cameras and lenses I just can't help thinking that a Fujifilm FF line of cameras could be just perfect. I still think it is a future possibility, once the X and GFX lines are mature and Fujifilm has become an even more established cameramaker. Size matters. A sensor surface of 368 square millimeters compares unfavourably to FF's 860 square millimeters. The laws of physics apply, even to Fuji. And no one can tell when looking at a printed photo or a photo posted online if it was taken with a FF sensor of crop sensor. The old debate holds no water. 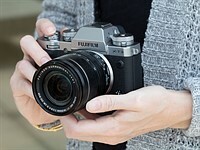 Fujifilm makes some excellent, all round cameras these days. I have an X Pro with a few X prime lenses and they are excellent. Thought about the XT3, but will await for the X Pro 2, as sorts and fast action focus are not my thing. The XPro2 has been our for years. No need to wait for an X Pro2 it's been out for approx. 2 years. I assume you mean a possible X Pro 3? LMAO. Is this you Patrick? xpro1 released 2012, xpro2 released 2016....if the trend continues, we may not see an xpro3 until 2020. Dpreview.com was "spot on" with the D750 (loved it) and again nail it with the XT3. 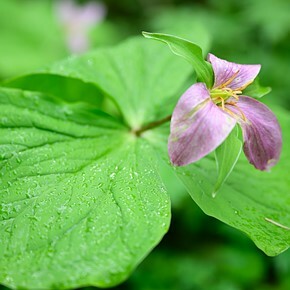 It is a wonderful camera. X-T3 has a bad reliability issue. At least according to a thread on the EOSHD. Users are seeing multiple failure only just after a month. I’m curious if others are seeing a similar issues? Well the X-T1 and X-T2 didn't have a stellar reputation, and for the X-T3 the production moved to china. The threads on the X forum was why I kept my Z6 pre-order. random freezing, purple pictures, random other bugs? Sheesh. So far, no issue with the 1.5 year old X-T20 and with the new X-T3. I just dislike the frond sync connector..
People here talk as if Fuji is the only one with issues from time to time. Surely Nikon had no oily shutter problem? Sony had no star eating problems, ovedrheating.? etc etc etc. theres tons of examples. Re: comments about the grip. I have the xt2 which I believe is ergonomically similar. The small grip is sufficient to me. But, for people who prefer a bigger grip, Fuji offers an accessory with a bigger grip. I understand the idea of accessory grips - I use a hotshoe thumb grip on my GX7 to simulate a much larger grip - but they always seem like an iffy compromise to me. You're taking space that could be very usefully taken advantage of to incorporate a larger battery, better heat dissipation, extra cards or I/O ports, or additional circuitry and instead filling it with a dumb hunk of metal and plastic. Ergonomics are a very valid reason for adding that dumb hunk of material. And reduced size for cramming your camera with a pancake lens into a purse on a night out is a great argument for NOT having the prominent front grip in the first place. But I feel like there has to be a better way. Maybe an even slimmer, perfectly flat front with no grip (and thinner battery to match), and an accessory front grip that could incorporate a 2nd identical battery in it, as well as providing really good ergonomics? But ergonomics depend on hand size. For my average hands the xt2 is ergonomic. Trump with his small hands might find a big grip unergonomic. I think I have relatively small hands, and don't consider any Fuji other than the X-H1 to be ergonomic in the hands without add-on accessories. The reason the hotshoe thumb grip on the GX7 works is because it gives me a new handhold that is displaced upwards by 1" and back by 1/2," giving a lot of leverage and allowing me to move my whole grip upwards so that my pinky doesn't fall off the bottom. In effect, it simulates a prominent - both deep and tall - front grip. Without a very prominent front grip, or a very prominent hook-like thumb grip on the back, none of these small-ish, short-ish mirrorless cameras are really very nice to hold with lenses that weigh more than, say, ~200g. Just my opinion, though, albeit one supported by experience as an industrial designer. The Camera Ergonomics blog would also support this perspective. DPR certainly has a love affair with this camera. has the grip changed much since the XT1? I bought the XT1 and hated the small grip and with the shutter button on the top of the camera, it meant stretching the forefinger back to release the shutter. I couldn't find a comfortable way to hold the camera and took it back. I also thought the AF was awfully slow, but understand that has improved immensely since. They have a love affair with all great camera’s of this magnitude. Nothing wrong with liking the best. You need to step up your game before the shopping season starts. 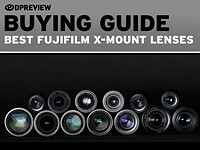 Now that Fujifilm garnered three time winner in buying guides .... I am now confident of my photos. See, photo viewing is actually more about psychology despite objective findings. I did a scientific test on how people react to pictures. Pictures that garnered the most votes are those pictures with the most expensive camera first, 2nd to the last was unbranded picture and the last of the last picture branded with China-made camera. So the cheapest solution is to just tell people you used a Leica when showing them your pictures. Cue fanboys mad that it's not the winner for EVERY category - best point and shoot, best camera over $2,000, best astrophotography camera, best sports camera, best coffee maker. ... a hole in your pocket! For once you had to say "video excluded", so that is a one big win for the T3. On IQ alone, i think the nikon lens is better, and coupled with the larger sensor it clearly has a better output fie. A big win for nikon here. But on every day use, i would chose the T3 every day - smaller package, what is now a beautifully focusing machine and as responsive a DSLR. The responsiveness and AF speed were my main problems in miror-less compared with DSLRs. Yes, the XT3 beats the D750. Especially when you take XF lenses into account. Keep dreaming. What lens has Fuji equivalent to Nikon AF-S Nikkor 800mm f/5.6E FL ED VR? There are a million combinations better. Just a few examples of what could replace an XT3 bare body kit. I mean to be fair I feel this way toward most brand new cameras. I can get them used a year later for 65% the price. But even that aside... I would take any of the 3 combos listed over an XT3 body. I don’t care about the 800mm. I wonder how many people care about that focal length anyway. As a camera body, the XT3 beats the D750 hands down. NOWHERE can I find the canon combo for less than 3200AUD (approx 2200USD). I would checked out your other claims but you lost credibility on the first one. Secondly, you've chosen to compare old camera models with one that's just released. Why not compare the XT1 price with your other options in that case. Exactly I recently purchased the xt-1 with at 35mm 1.4 for $600 USD. For $1500 I could get a xt-1 ($300-400 used), 18-55 ($300 Used), 55-200 ($500 used) and a 35mm 1.4 ($300 Used). Weighing a fraction of the 6d and im not stuck with an ancient auto focus system with 9 auto focus points, no wifi, and one sd card slot. But hey, wifi and a second card slot. Pretty sweet tradeoff if I cared an iota about either! Guess I'm just a weirdo who focuses on things like the images. No Real Grip? No IBIS? No buy! You must be new to photography. For the year, can we return to the era of absolutes have a single category and a single winner and call the XT3 the best camera of 2018? I don't care about the other categories such as what the best camera that can't autofocus is, or the best camera with the worst 4K cropping or the best weather sealed camera with the most banding artifacts, or the best camera with the worst ergonomics etc etc. 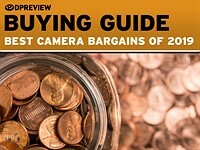 Why should we compare 500$ cameras to 2000$ cameras in the same category? Panther, the categories grading is one of those things that work 50% of the time, everytime. It involves more math but there used to be a parameter called price/performance ratio. That now has been supplanted by the 'target audience' concept, basically brand boytoys will buy whatever they like, money is made in the process, no feathers are ruffled by the reviewers and everyone is happy. Call me old fashion but sometimes life requires more than a finisher's medal. I think the XT3 is that product for 2018. Well then it is a deathmatch between the A7III and the XT3, I am fine with that as long as a winner is picked. I wouldn't vote for it as best camera. Best IQ? Not a Hassleblad or other medium format? Best AF? Not a high end DSLR like a 1DX II or similar? Best detail? Not a 42-50MP FF or 150MP medium format, but a 26MP APSC? Best low light? Not an A7S/A9 series, 1DX II, etc? Is it actually best at... anything? Like literally, anything? If every full frame and medium format camera created in 2018 catches fire, yes. Then we can name it best. Or if we all go blind and can't see the IQ differences. Either way! It's great that there is a new contender in the good-all-around range for most of us regular people who are just looking for something that will do most photo/video things well. What about the lack of a decent grip and shutter release that sits forward from the body and nicely sits under the forefinger? One of the reasons I switched from Nikon DSLR's to the Fujifilm X-T bodies is the smaller grip and shutter release on the top. For me its like having a FM/FE/FA/F3 again - all of which I absolutely loved using. XH1 looks and feels better than XT series but still I wasn't comfortable holding that. For example you have to remove your shutter finger to press AE-L and even AF-On. ozturet - I bought the XT1 and returned it in favour of the D750. I was tempted to buy the XH1 and was convinced I was going to get it since it seemed to be an XT2 with IBIS and a proper grip and shutter release placed in a comfortable position. I was really stunned to find that the XH1 was quite uncomfortable. I found the grip just wasn't right for me. I think it was too thin and sharp edged perhaps. I was convinced I would be leaving the camera shop with an XH1, alas no. I also felt weird with XH1. EM1 II looks similar but much more comfortable to hold and use. Still, I think I'll sell XT3 also. Hinesbelike, my statements are my statements. They are not wrong, they are just mine. 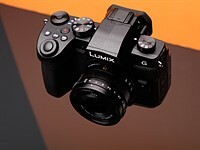 Glad that you are happy with XH1. I love the grip on the X-T series camera’s. Everyone is different. I have Fuji XT20 and I do like it but it’s good to know that the latest Fuji camera is a huge winner.